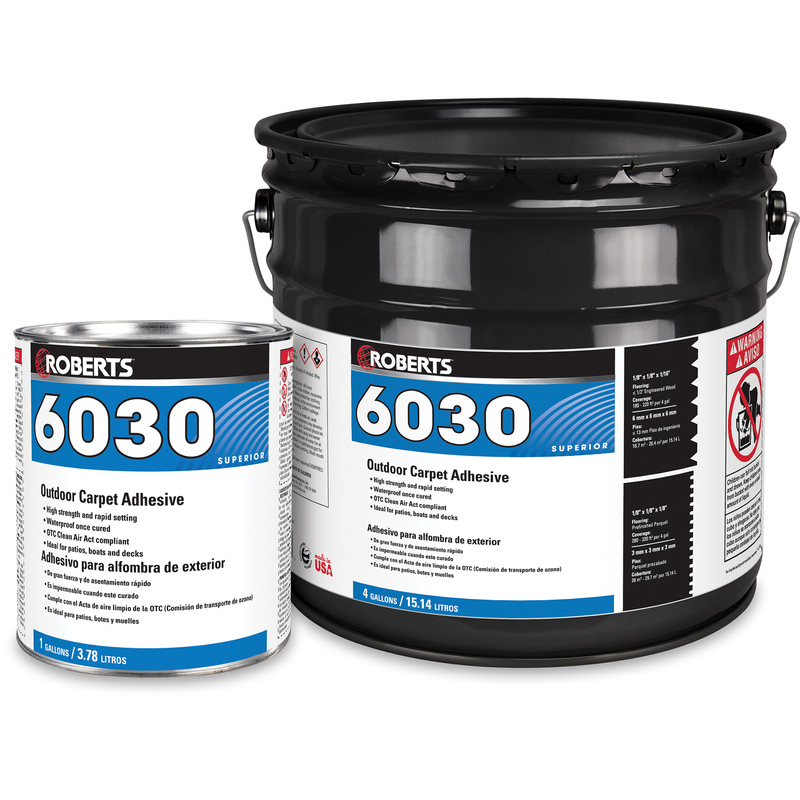 ROBERTS 6030 is a professional-grade, solvent-based adhesive for the installation of most types of outdoor carpets and artificial turf. This adhesive develops a strong initial grab to hold carpets in place, and resists all types of weather conditions for a strong long-term bond. 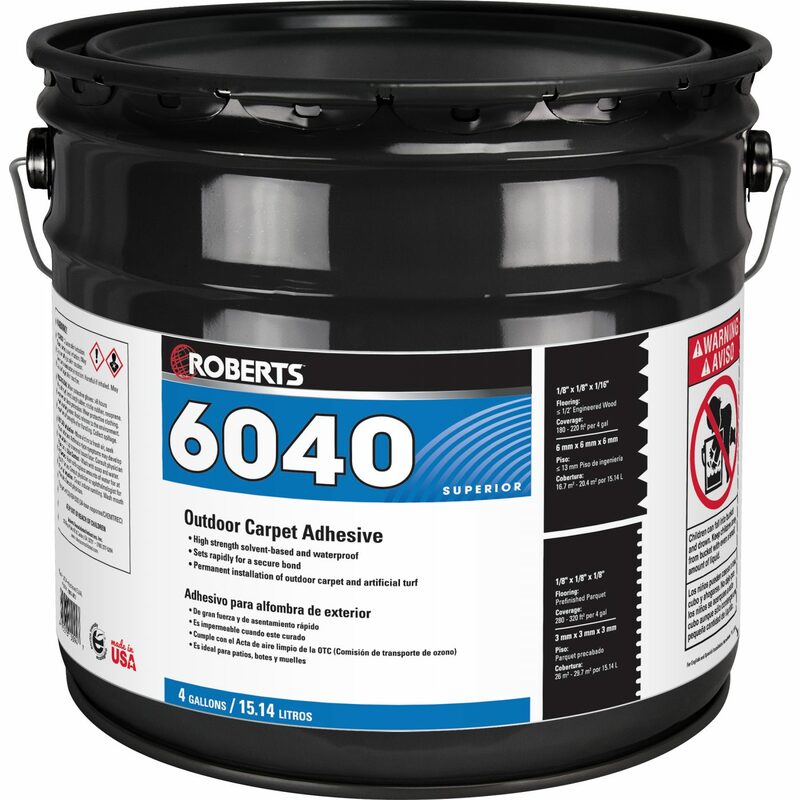 ROBERTS 6040 is a superior-grade carpet adhesive developed for exterior installations of most types of outdoor commercial carpets and artificial turf. 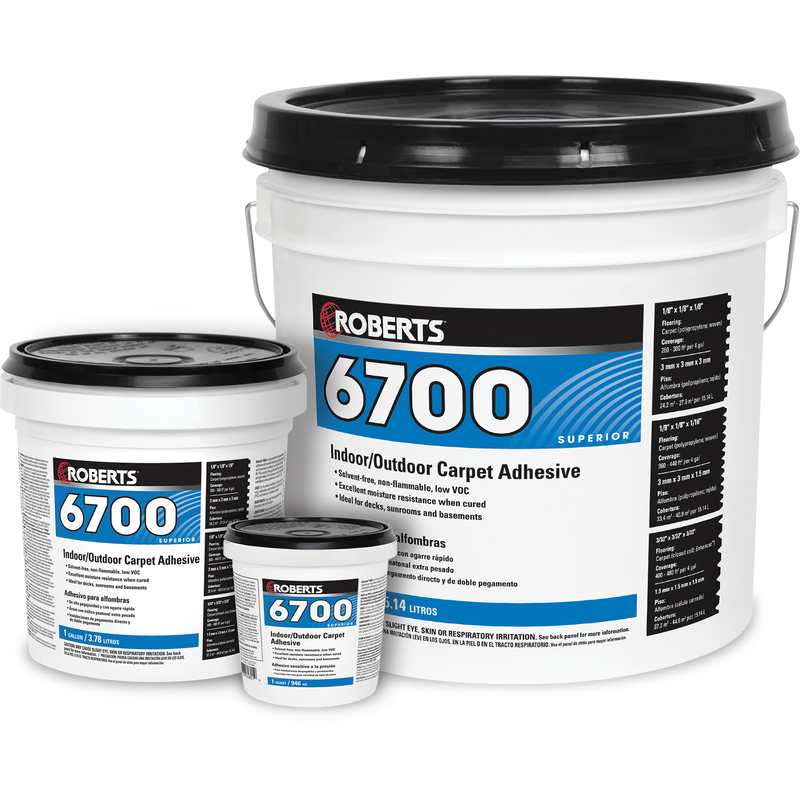 ROBERTS 6700 is a solvent-free adhesive designed for the exterior or interior installation of indoor/outdoor carpet. This adhesive is ideal for interior patios or sunrooms, as well as basements. 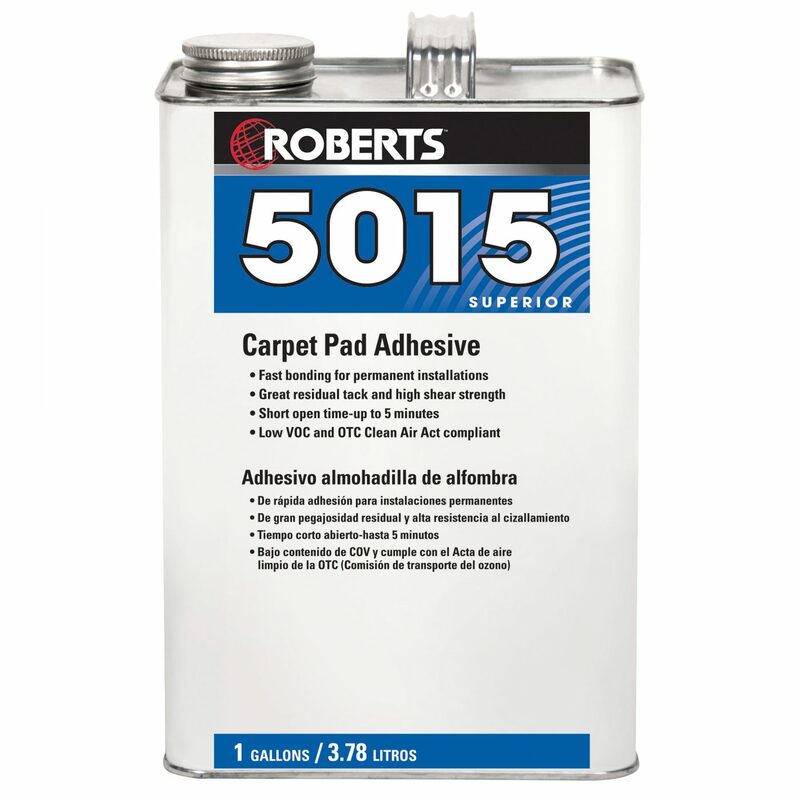 ROBERTS 5015 is an adhesive with a strong initial grab to hold carpet pads in place quickly. It's a superior adhesive developed for the adherence of carpet pads prior to the installation of stretch-in carpet. ROBERTS 6280 is an acrylic pressure sensitive adhesive with good plasticizer migration resistance. 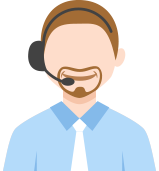 It may be used as a releasable/re-positionable adhesive or as a permanent installation, if flooring is installed while adhesive is still wet. 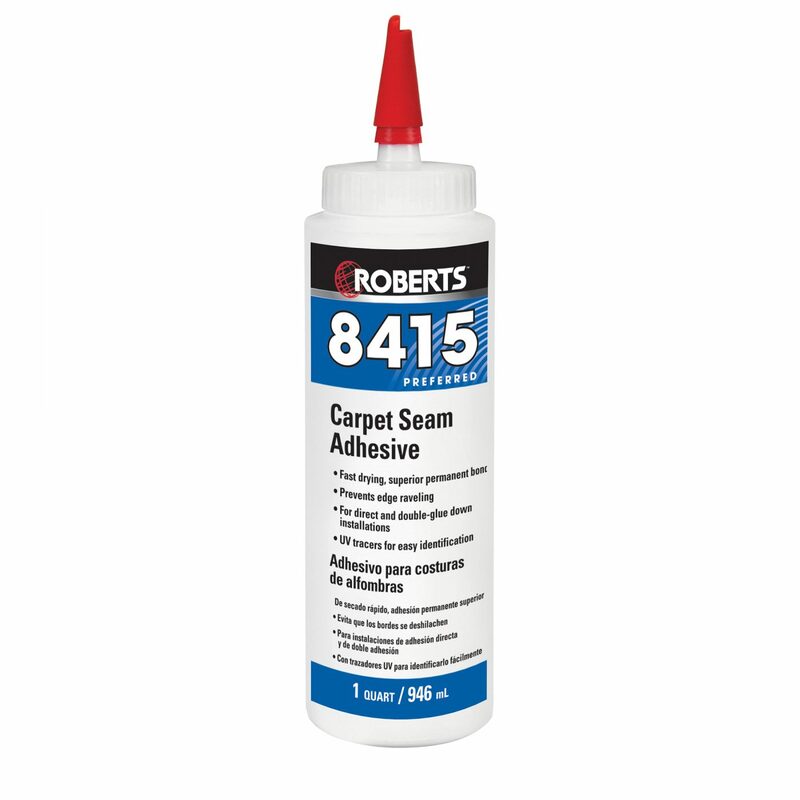 ROBERTS 8415 is a solvent-based commercial-grade adhesive developed to seam most types of carpet and to prevent edge raveling. May also be used to repair bubbles in installations. 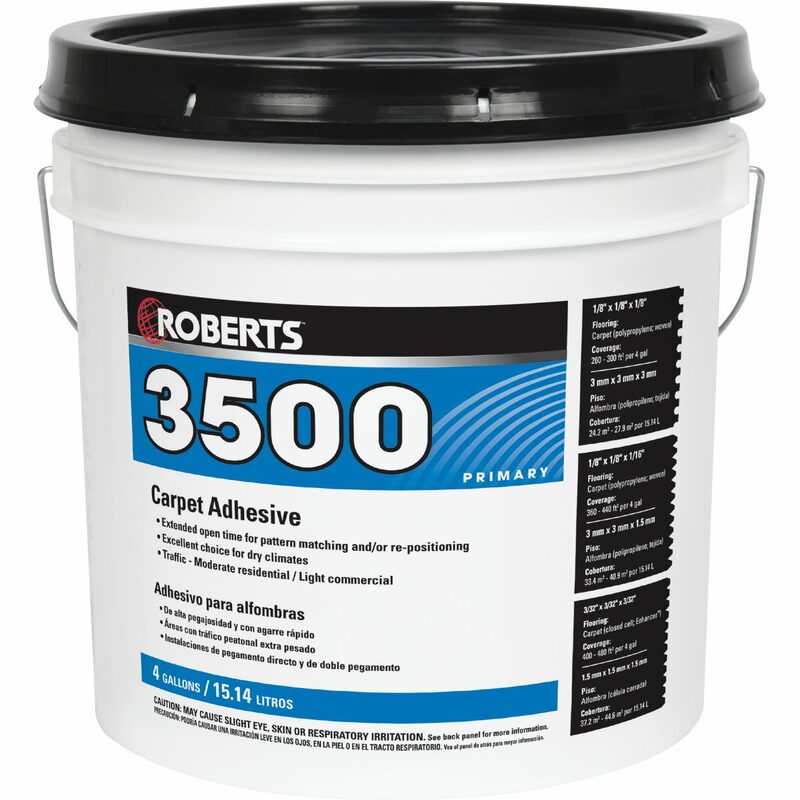 ROBERTS 3500 is a direct glue down carpet adhesive recommended for residential to light commercial traffic. Its extended open time allows plenty of time to install carpet and is also great for dry, non-humid regions where a longer open time is necessary. 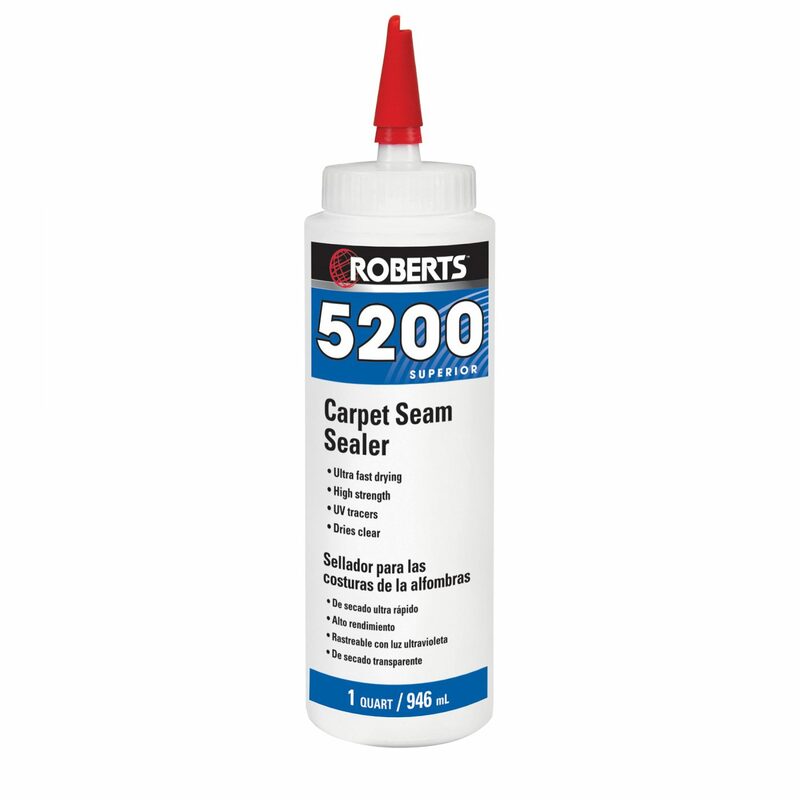 ROBERTS 5200 is a commercial-grade seam sealer developed to seam most types of carpets and to prevent edge raveling. This adhesive may also be used to repair bubbles in existing installations. ROBERTS 3095 is a commercial-grade carpet adhesive developed for the most demanding carpet installations, including broadloom carpet. 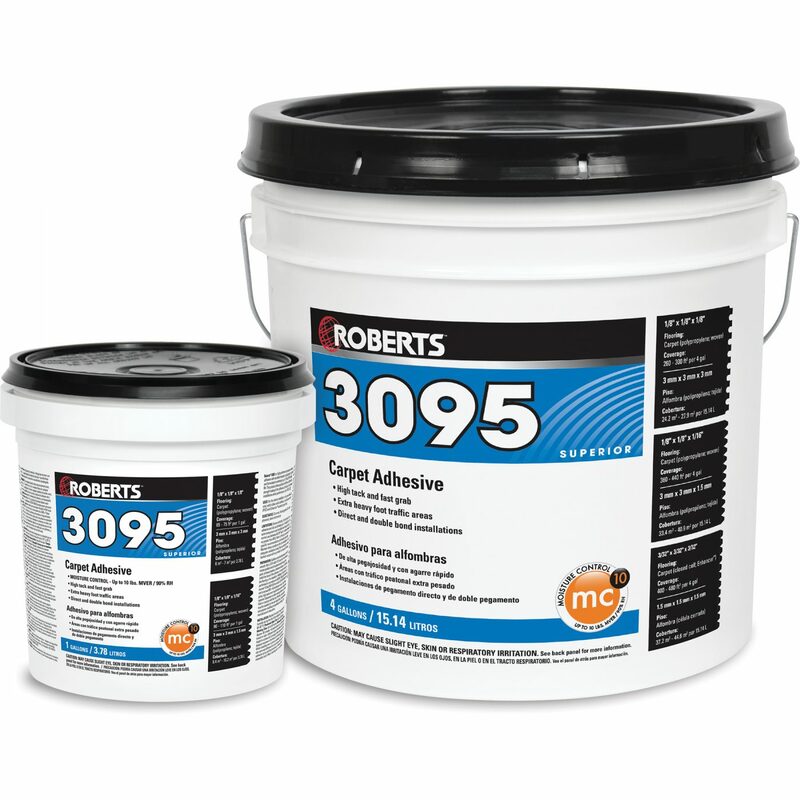 ROBERTS 3095 is an excellent adhesive for direct or double bond/stick installation methods. 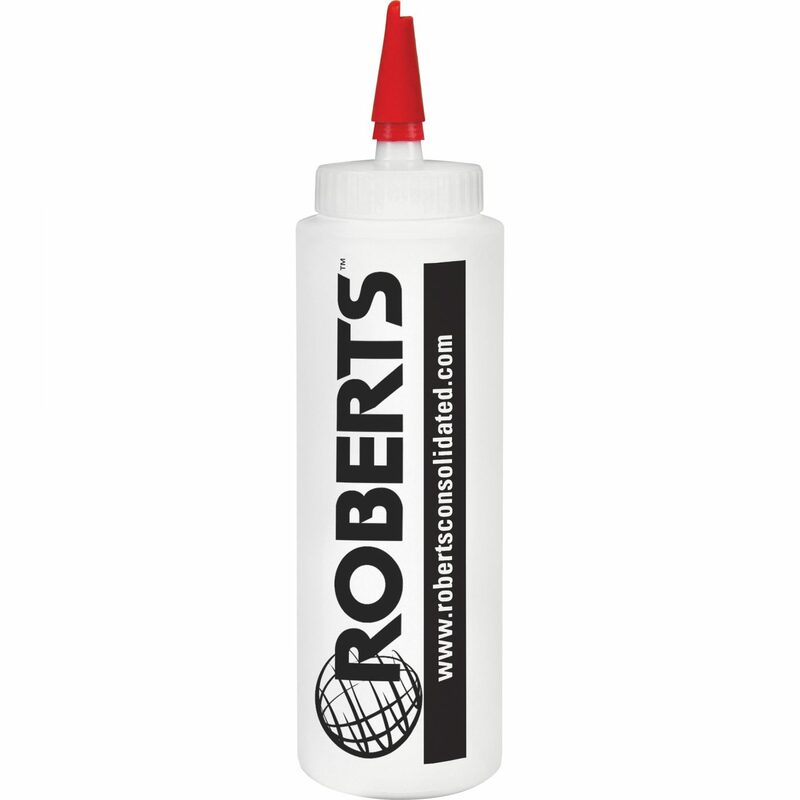 ROBERTS 1000-8 is an empty seam adhesive applicator bottle used for dispensing seam sealing products, such as ROBERTS 8015 Universal Carpet Seam Sealer. 1000-8 – Holds up to 8 oz. 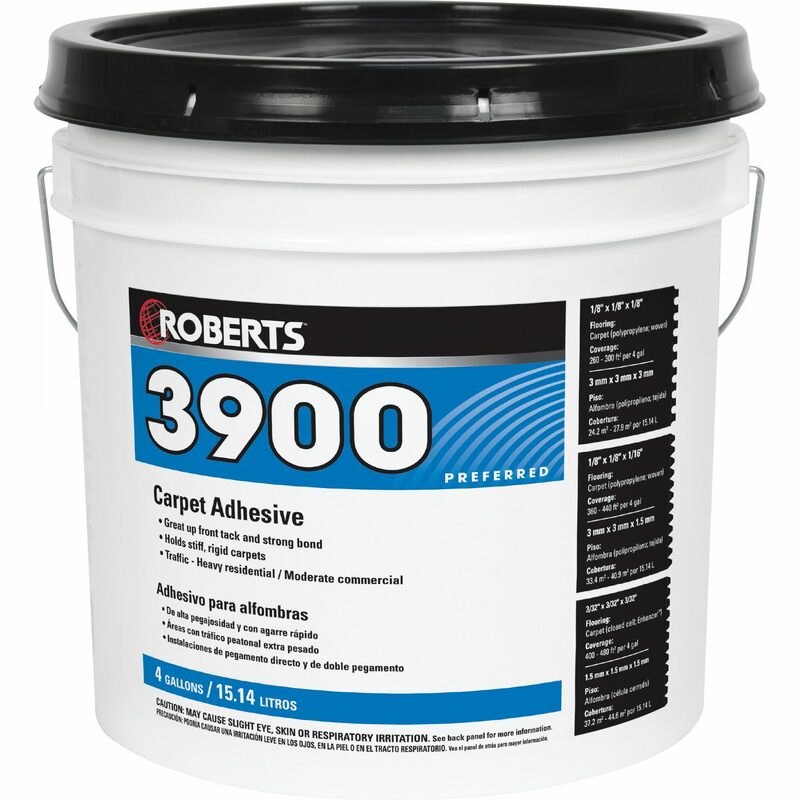 ROBERTS 3900 is a high performing direct glue down carpet adhesive recommended for light to heavy traffic. It is a rapid grabbing adhesive to assist in holding stiff carpets in place during installation and is specifically designed with the desired characteristics for commercial carpet installations. 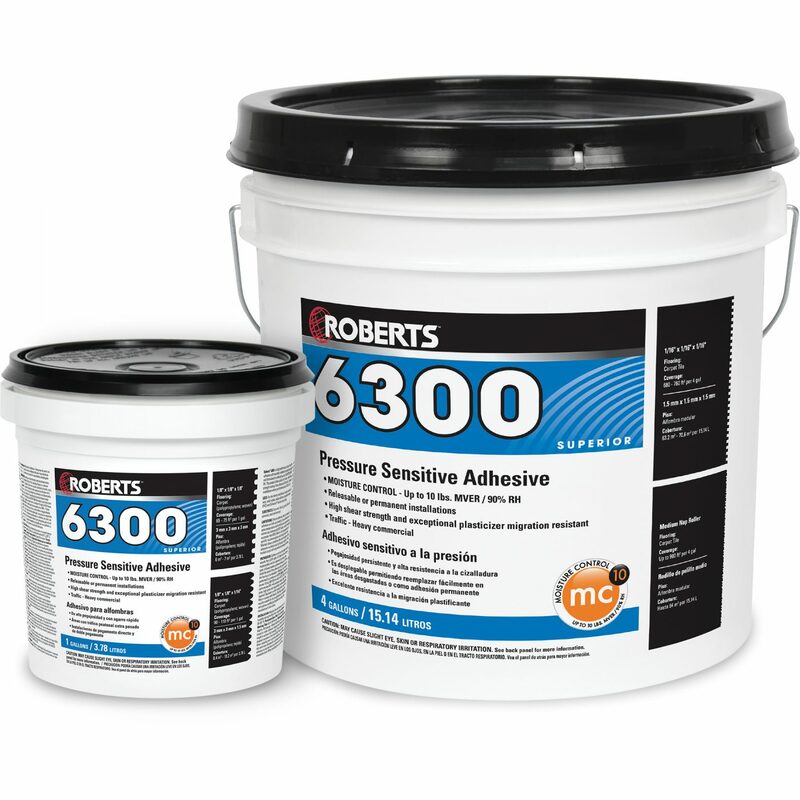 ROBERTS 6300 is a high performance pressure sensitive adhesive which may be used to install carpet tiles, commercial carpet cushion, fiberglass reinforced sheet vinyl, luxury vinyl tiles and heterogeneous sheet vinyl and tile. This product dries quickly and offers a high shear strength making it the adhesive of choice for commercial installations where performance is key. 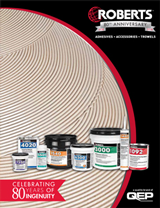 ROBERTS 4020 is a premium solvent-based adhesive with a powerful initial tack and high shear strength to prevent movement of padding during carpet installation. This superior-grade, permanent bonding adhesive was developed for quick installations, in both residential and commercial applications. 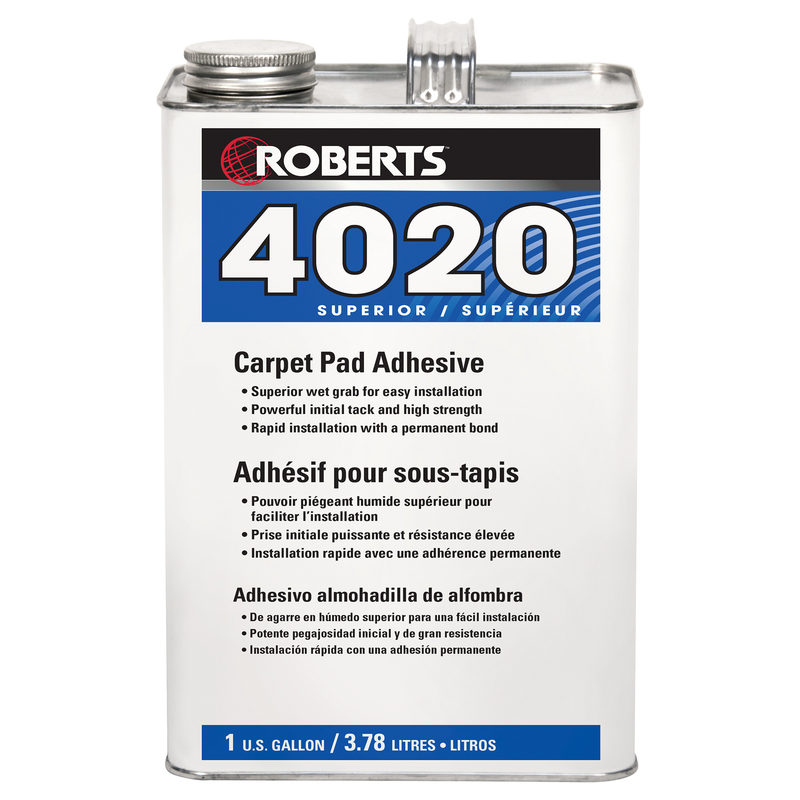 ROBERTS 4002 is a solvent-free, latex-based, environmentally friendly carpet pad adhesive, developed to quickly bond carpet pads to subfloors in stretch-in carpet installations. 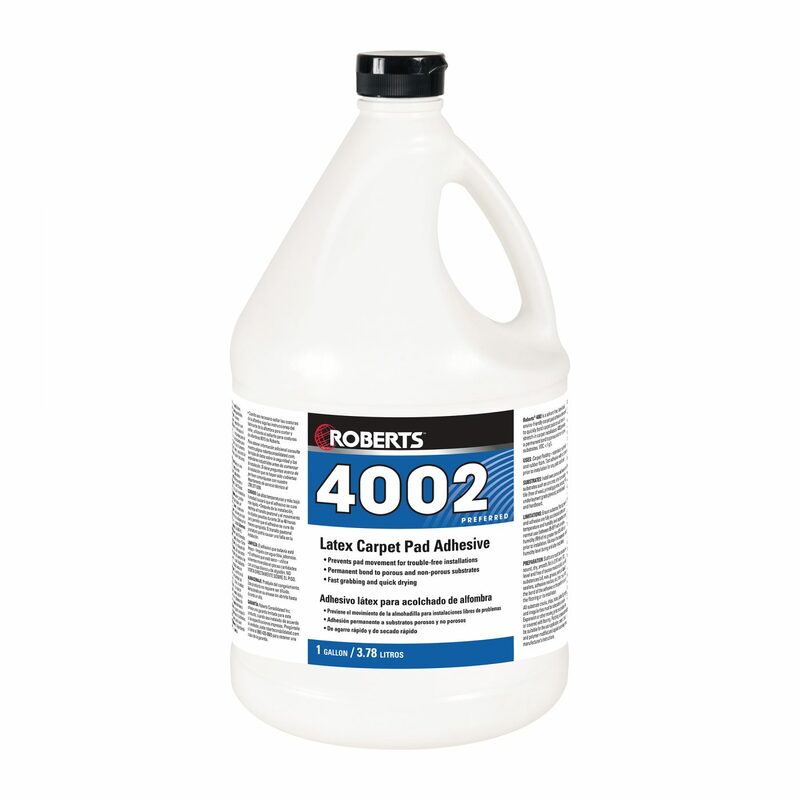 ROBERTS 4002 provides a permanent bond to porous and non-porous substrates. 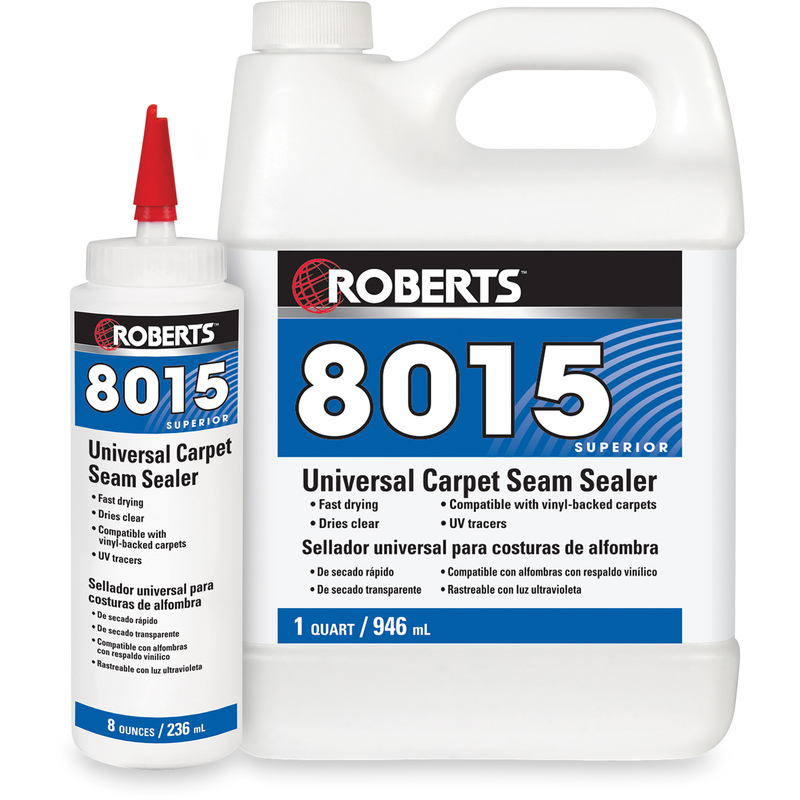 ROBERTS 8015 is a universal solvent-free carpet seam sealer developed for seaming most types of carpets, including vinyl backed and to prevent edge raveling. May also be used to repair bubbles in existing installations. 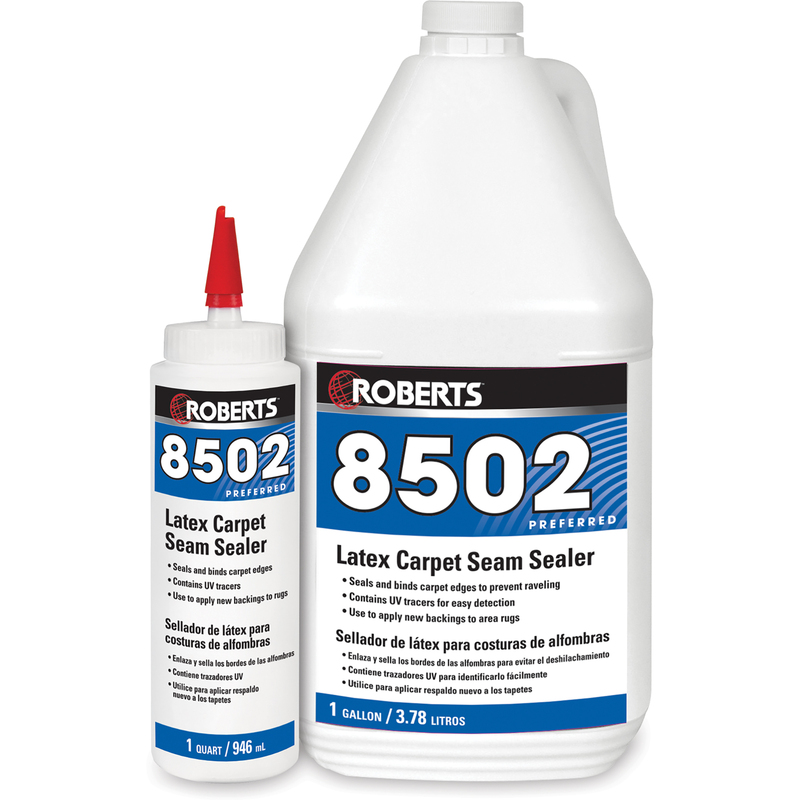 ROBERTS 8502 is recommended for seam sealing carpets, sealing raw edges, binding, strengthening worn backings and applying new backings on area rugs. 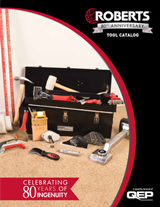 ROBERTS 8502 may also increase slip resistance on mats or rugs and contains a UV tracer for easy detection.